Censorship before or censorship after? The EU Copyright Directive rekindles the oldest fight in the history of free speech debates, first waged by John Milton in 1644. Then, like now, policy-makers were considering a radical change in censorship law, a switch from censoring material after it was published to requiring a censor's permission to publish in the first place. Policing content before it disseminates involves sending it through a screening process before it is allowed to reach readers. Screening can be electronic, like the filters Article 13 would require, or like Tumblr’s infamously dysfunctional adult content filters, or like the automated components of the Great Firewall of China, or it can be done by humans. 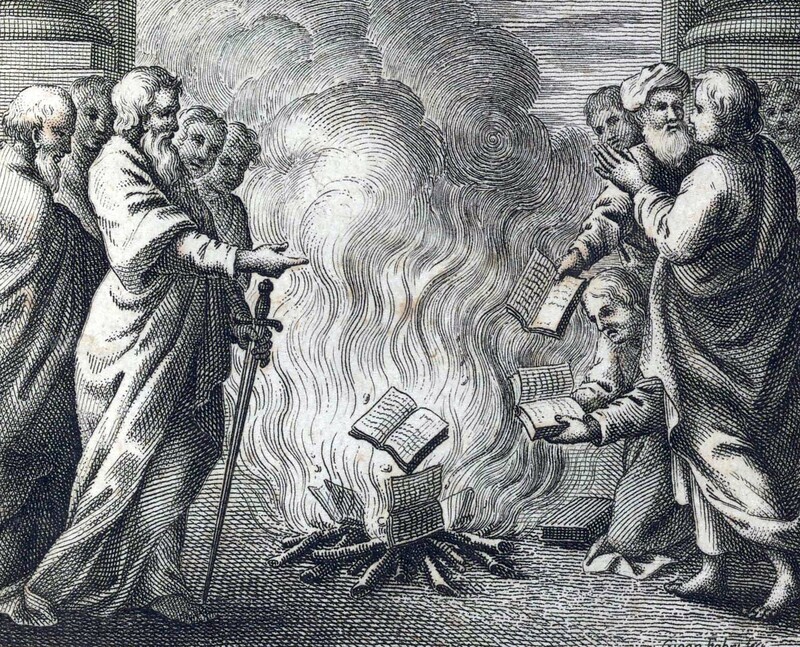 Human screening is how the Inquisition functioned during the print revolution: all books began effectively pre-banned, and you had to take a book to an official censor for review and approval. Only after making requested changes and securing approval could the book reach its audience—anything without a censor’s note of permission on the title page was preemptively illegal, and author, printer, bookseller, and reader were subject to prosecution. The two methods may seem pretty similar: both result in censorship, but the difference in effect can be profound. So argues John Milton in the oldest published work defending freedom of the press, Areopagitica, A speech of Mr. John Milton for the Liberty of Unlicenc’d Printing, to the Parlament of England. Milton wrote in the mid-1600s when England faced a crisis over the licensing of books, and just like today’s EU battle it was largely a battle over profits disguised as a battle to protect the public. Copyright as we know it did not yet exist, but in areas policed by the Inquisition, censors threw in a lucrative bonus which incentivized compliance: the printer who brought the book to the censor received a monopoly license to print the book, making it possible for the first time to sue others who printed the same text. It was not copyright but it secured profits the same way. Printers in England wanted this too, since monopolies are always lucrative, plus the censors in charge of licensing could charge a fee for the process, so there was lots of money to be made. So they lobbied for it, hiding their profit-seeking motive by selling it as a means to protect the nation against politically dangerous speech, radicalism, terrorism, sedition and, yes, even fake news and disinformation. In 1662 they got their wish, The Act for Preventing the Frequent Abuses in Printing Seditious, Treasonable and Unlicensed Books and Pamphlets; and for the Regulating of Printing and Printing Presses, which ordered that no book, pamphlet, or paper could be printed without being licensed in advance. Running the approval process was handed to a private group, the Stationers’ Company, an old association of printing houses which thus gained a monopoly on regulating printing, letting them skim profits from every book that crossed their desks, and making it easy for them to silence competitors. England’s Stationer’s Company got rich by exploiting public anxiety, just as the media moguls behind EU Article 11 and Article 13 hope to do. Both systems created the illusion of helping the state protect the public from dangerous speech, while actually advancing a profit motive. And in continental Europe the Inquisition’s system rapidly became the same, since the Church extracted fat fees for issuing book licenses, and delegated the power to hundreds of local figures who could use the system both for profit and control. Censorship after publication is still censorship, just as much as censorship before, but Milton argued that having to pass through censorship before reaching the public has a vast impact on what is said, and even what is thought. Having a gatekeeper makes it easier for the rich and powerful—those with connections in high places—to speak and to silence others. Financial and logistical barriers weaken the democratizing effects of cheap speech: printing a pamphlet or creating a new web forum cost next to nothing and reach audiences almost instantly, but won’t when Article 13 requires you to pay licensing fees for any copyright content you anticipate users might quote in replies. And, Milton argued, preemptive censorship has a profound effect on what we say, since everyone who writes does so knowing there is a barrier between author and audience. This is much of what China’s internet censorship aims at: even with AI filters and two million censors China can’t prevent human ingenuity from expressing itself through puns and subtleties, but it does guarantee that every person in China who sits down to say something online is constantly conscious of the barrier, the surveillance, and the large and powerful forces that have power over speech. That, Milton argues, distorts thought, deters creativity, slows down the advance of science and research, and encourages the only thing which genuinely can completely silence thought: self-censorship on the part of authors worried about consequences. An internet where the creator of a new web space for conversation is required to pay huge fees to media giants before even launching is no different from the world Milton feared, where someone who wanted to publish a book or start a newspaper had to run it by the largest and wealthiest media giant first, and pay a fee to make that fat cat even fatter. In our digital revolution, as in Milton’s print revolution, we must recognize when the profit motive is exploiting public anxiety to create policy which will not protect what it claims to protect, but will further strengthen those special interests which are already strong enough to lobby law-makers and twist governments to their will. The most famous line in Milton’s Areopagitica is that "it’s almost the same to kill a man as to kill a book, since who kills a man kills a reasonable creature, but who destroys a good book kills reason itself." But the essay presses even more on how much worse it is to prevent words from ever disseminating, as opposed to banning book which has been printed and inevitably survives in other copies even if you burn it: "no age can restore a life," says Milton, but the lives of people are stored and preserved in words which pass on to the future, so to wholly prevent the dissemination of words, to erase words, pull words from an internet re-engineered to prevent their archiving, is to slay, not a life, but an immortality. The internet is a legacy that will shape so much of humanity’s future—let’s make sure the immortal voices it passes down remain free, innovative, and plural. Ada Palmer is an Associate Professor of History at the University of Chicago, and a science fiction novelist, author of the Terra Ignota series. You can find her work on censorship during information revolutions here. For further reading, she recommends Adrian Johns's Piracy: The Intellectual Property Wars from Gutenberg to Gates and Who Owns the News? A History of Copyright by Will Slauter. Europeans can pledge to vote out MEPs who support the Copyright Directive and then tell their MEPs that they've done so.